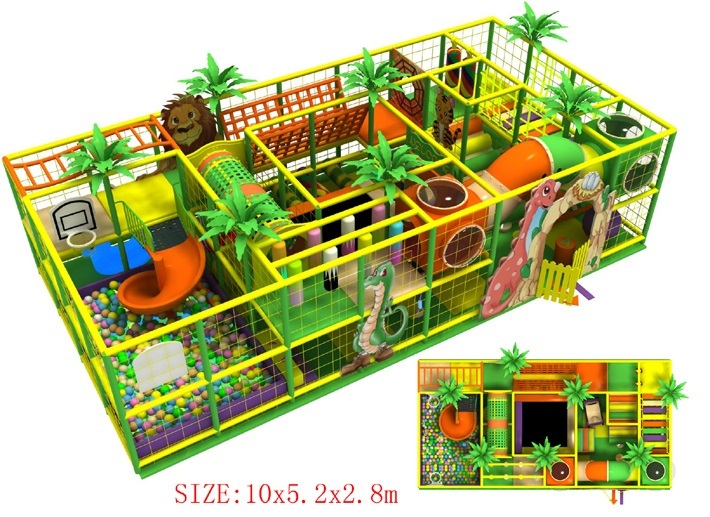 This two level Kids Playground Equipment in jungle theme, have one S- slide to the ball pit and one trampoline in the middle! After kids get up on second floor, have two circle pass way, one through the rickety bridge to the plastic tunnel then pass the net tunnel, other go through spider hole to the single-plank bridge. Both way are end on slide to ground floor. Do you think the rainy day could be devastating for you? Not because you do not like the weather, but because the rain will take all the fun of your daily life and activities. Maybe you promise your children, which take them to playground, but cause the weather make them. Do you want to disappoint them? Kids Playground Equipment is good gifts for your children. 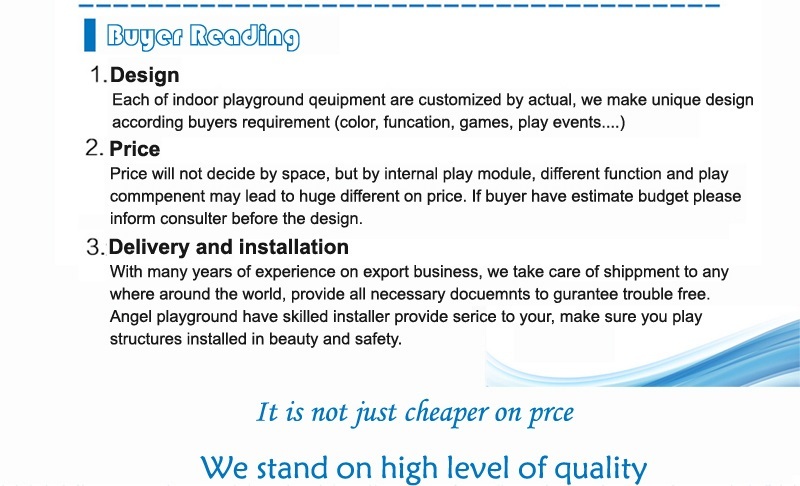 Kids Playground Equipment is very interesting and safe for children, is popular among children. The wealthy is hotter and hotter, so if children play indoor playground, it can guarantee them do not got sunstroke. As a parent, you know activity and exercise are a part of staying healthy and fit ,We all want to have the perfectly shaped bodies that not only look good but also help in maintaining good health throughout the life; to achieve that, proper exercise is very important, and the earlier we start develop our body the better. You must ensure that our kids are given appropriate resources of physical exercises on a regular basis during their childhood. 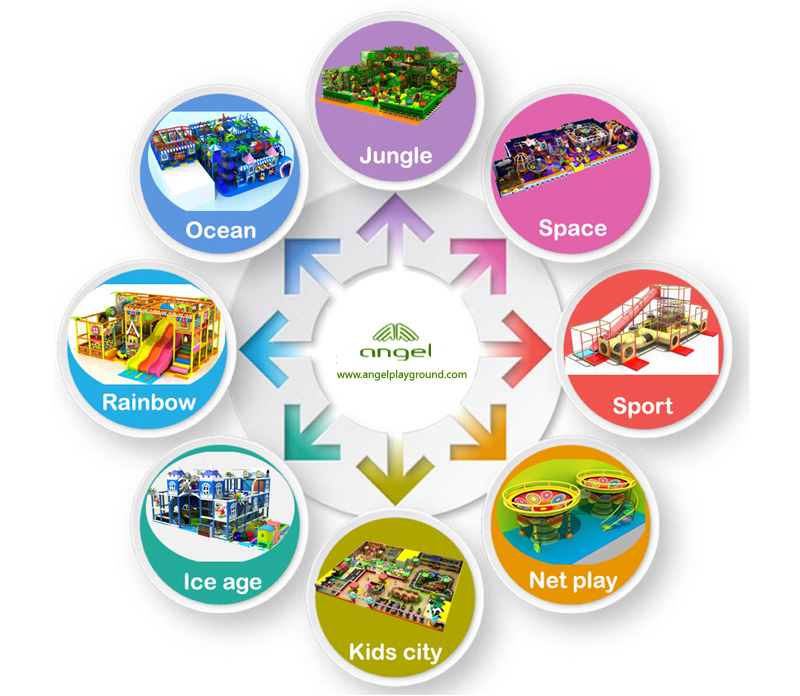 So you need to rebuilt indoor playground, you can rebuilt it with your kids together, they will think it is a cool job, when it finished, they can be proud and show their friends, also you will have fun with your children rebuilt it together. 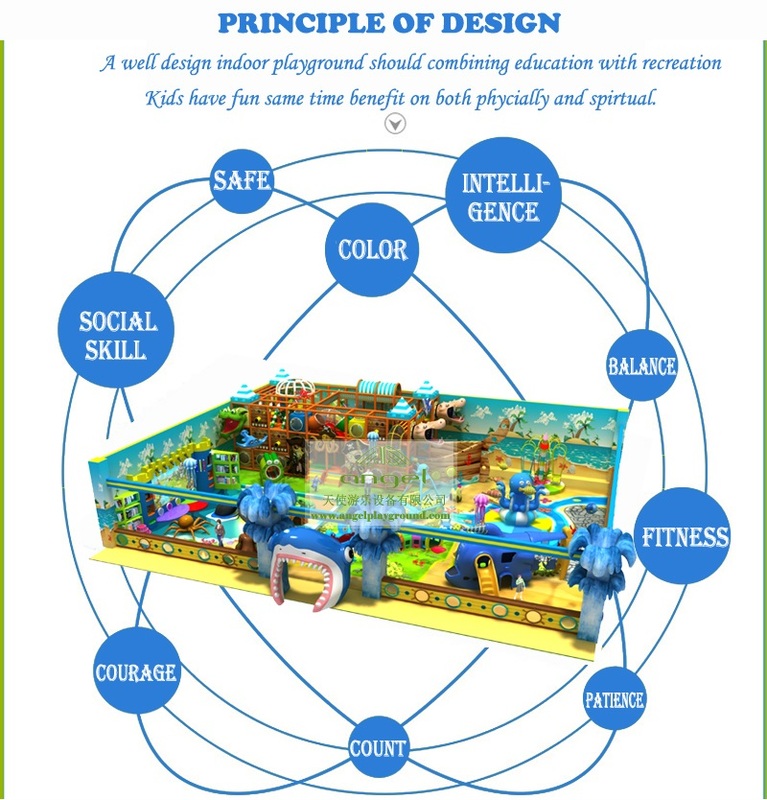 So if you have indoor playground, children will think is fun and interesting toys, they do exercise everyday and can play with friends together, you do not ask them go exercise outsides or play outsides. 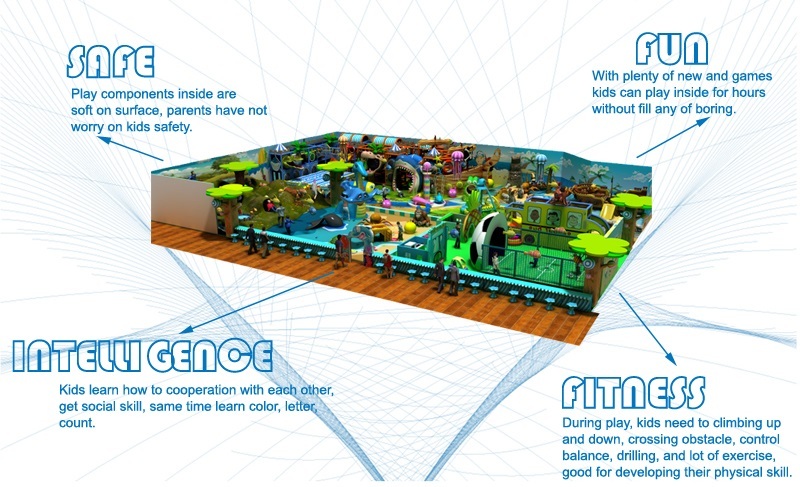 Indoor playground can make good memory for children and family. Another advantage you do not look after them in the park and worry for their safe, you can save some a loss of hassle. 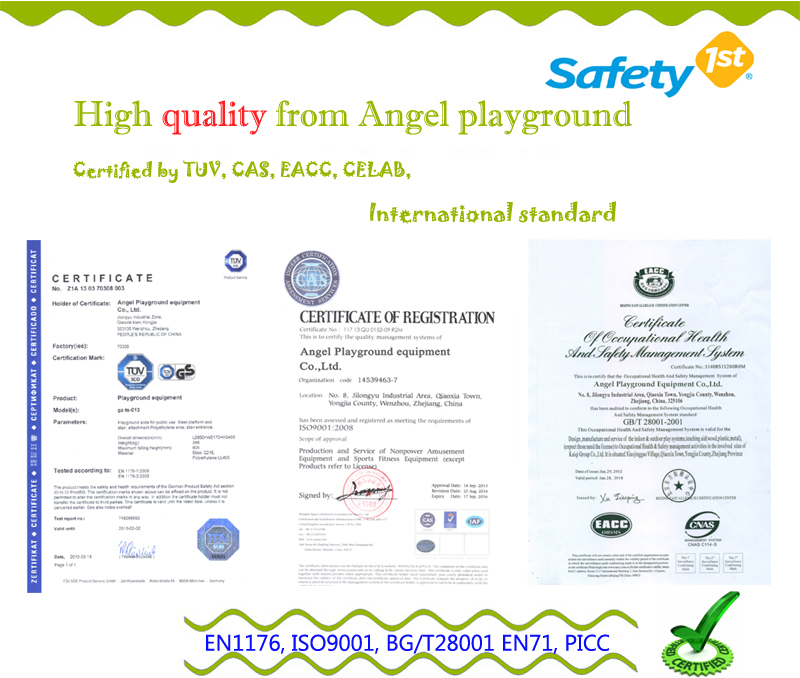 When you build Kids Playground Equipment, choose play equipment is important, you need choose soft simple one, and choose good quality, and is enough strong you can join play with children together, usually it can use many years, you can build it with your family. For example, you can choose rope ladder, horizontal bar, climbing rope or any other kinds of equipments, make sure have several seats that your kids can play with their friends and family together, also can cultivate their communication. This kind of gift would bring lots of happiness to boys and girls. Imaging how much fun your kids are going to get, and not only they but their friends also, they need to have a memorable and healthy childhood. 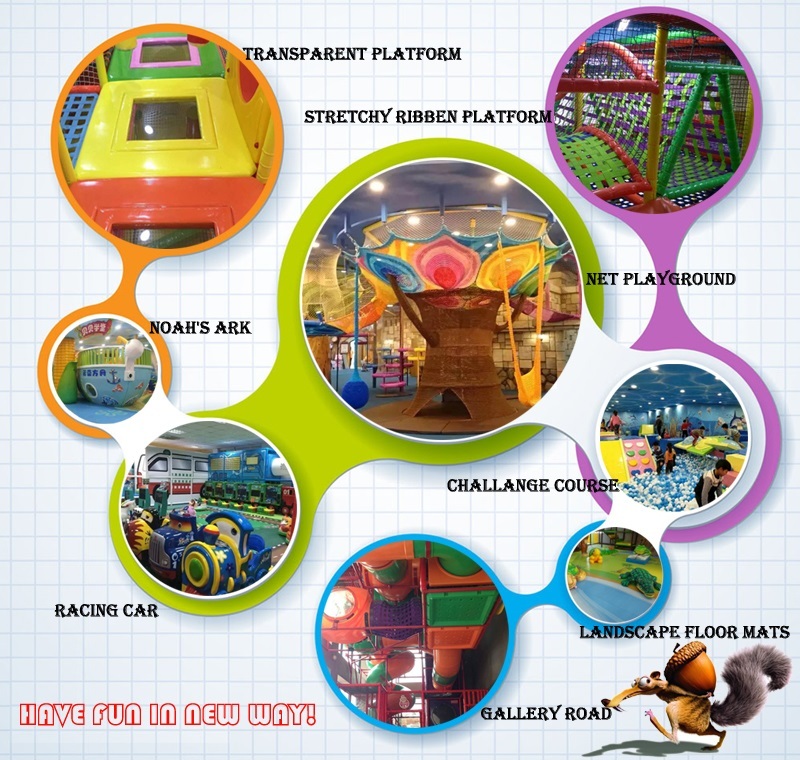 Indoor play equipment is good gifts for your children, can make them became happiness and cultivate your family activities.